Although our Chefs-in-Residence are some of America's most incredible cooks, we're inspired by the simple food they make at home. 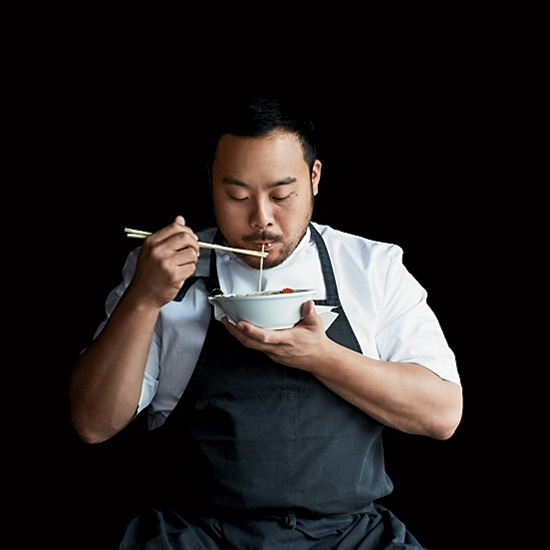 Here's how David Chang eats on a typical day. Eggs and sparkling water. I don't drink coffee. Korean spicy soft tofu stew. Fried chicken fingers. My guilty pleasure. Best Fried Chicken in the U.S.